Witness the spectacular aftermath of a Coke versus Pepsi "display war" in a California grocery store. 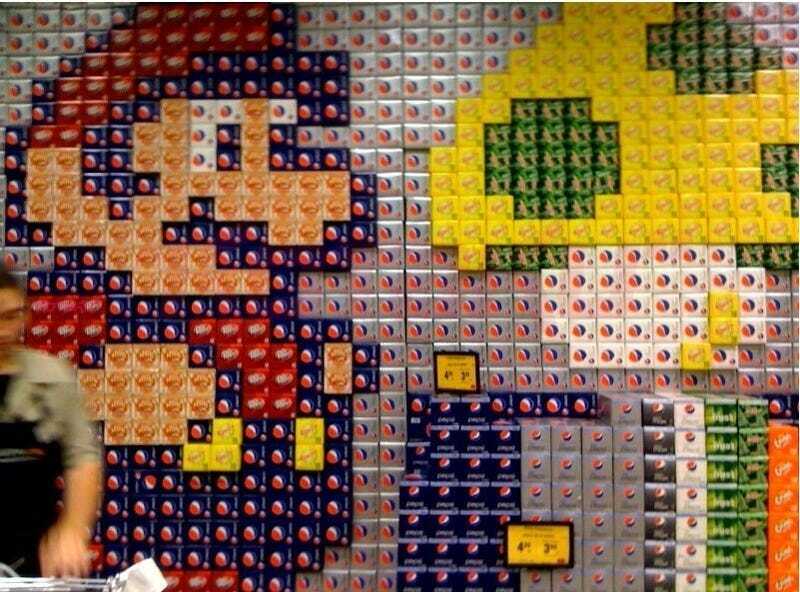 Reader Chris writes that his sister snapped a photo of what she described as a huge 8-bit Mario display Pepsi built out of cases of their drinks at the Safeway in Rohnert Park, California. Keep in mind this isn't something Nintendo paid for, it's just two bitter, talented soda employees vying for the hearts and throats of the thirsty public. Coke, we're told, recently built an elaborate Olympics-themed display. I think Pepsi wins... this round.